In this video, you’ll learn a simple process you can do in 5 minutes that will hardwire all of the key fundamentals to a technically sound forehand into your body. 1. Line up Hips to 45 Degree Angle- This is key for every forehand, no matter if you end up hitting the ball in an open, semi-open, or square stance. 2. Pet the dog- arm goes out behind you at a 45 degree angle on your hitting side. Palm is down. Off arm is stretched out, creating a nice tight coil. 2. Takeback- Off hand stays on the throat of the racket, creating a tight coil, creating elastic, effortless power potential. Racket tip is up. 3. Ready position- stand with a slightly wider than shoulder width stance, knees bent, hands in front. Your first move following this will be your split step. 4. Rhythms- Hitting the ball at the right time will make sure that your forehand is smooth and consistent. 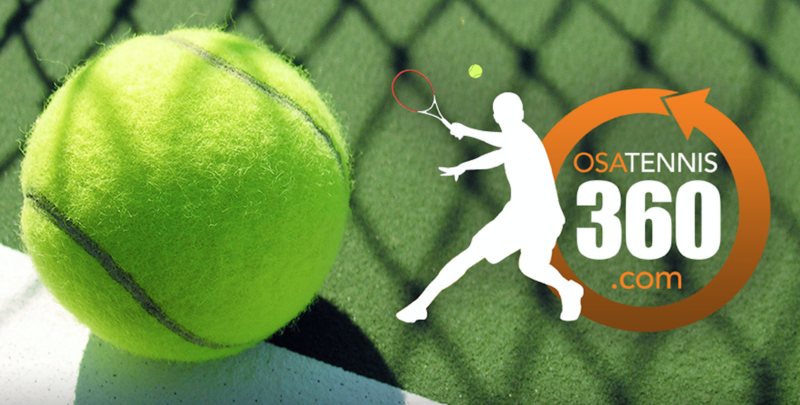 This entry was posted in Osa Tennis 360 HD Video Lessons (New subscribers) and tagged forehand lesson, forehand power, how to fix my forehand, how to fix my forehand tennis, how to fix your forehand, how to hit a forehand in tennis, osatennis360, ramon osa, tennis forehand, tennis forehand basics, tennis forehand drive, tennis forehand lesson, tennis forehand swing, tennis forehand tips, topspin forehand, topspin tennis forehand. Bookmark the permalink.